Three people can be credited as inventors of packet-switched networks, thus laying foundations for Internet: Paul Baran, Leonard Kleinrock and Donald Davies. Little known to these men, at the time of inventing these networks, was exactly how much of an impact it would play on mankind. Arguably their impact can be compared to the entire history of telecommunications. Could you imagine a world without search engines, blog hosting and social media or more importantly, could these men imagine a world with these aspects in it? The Welsh Donald Watts Davies was born in Treorchy in the Rhondda Valley, Wells, on 7th of June, 1924, in the family of a clerk at a coal mine. When his father died a few months later, his mother moved Donald and his twin sister to her home town of Portsmouth, where he went to school. He went on to get a BSc degree in physics at Imperial College, London, which he received in 1943, then took another first class degree in mathematics, graduating in 1947, both with first class honors. During his last year at university he attended a lecture by John Womersley, superintendent of the mathematics division of the National Physical Laboratory (NPL), about the ACE digital computer, which was being developed there. Excited by the potential of the new technology, Davies immediately applied to join the group, and in September 1947 he joined the laboratory as a member of the small team, which was led by Alan Turing. The group's work, based on Turing's design, eventually led to the development of the Pilot ACE computer, which ran its first program on May, 1950, and was one of the first electronic stored-program digital computers in the world. Along with Ted Newman, Jim Wilkinson and others, Davies had played an important part in the detailed design and development of the machine, and its successor, the full-scale ACE computer. As computer development moved from the laboratory to industry, Davies's interests widened to include the purposes for which computers could be used. Davies worked for a while on applications such as road traffic simulation and machine translation (in 1958 he initiated a project to use a computer to translate technical Russian into English). 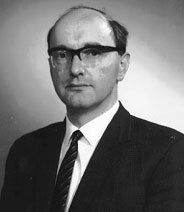 In 1963 he was appointed technical manager of the advanced computer techniques project, responsible for government support for the British computer industry. The key new project was the development of an idea he had originated in 1965: that to achieve communication between computers a fast message-switching communication service was needed, in which long messages were split into chunks sent separately, so as to minimize the risk of congestion. Davies said he had realized that it was inefficient for a computer to send an entire file to another computer in an uninterrupted stream of data, chiefly because computer traffic is 'bursty' with long periods of silence. The stream must be broken up into chunks (which he called packets), and the technique became known as packet-switching. As he later wrote: "So, in November 1965, I conceived the use of a purpose-designed network employing packet switching in which the stream of bits is broken up into short messages, or packets, that find their way individually to the destination, where they are reassembled into the original stream". So Davies initiated the terms packet and packet switching into the network terminology (which is much catchier than Baran's distributed adaptive message block switching). Davies had considered many possibilities—block, unit, segment, etc., before deciding on packet as a sort of small package. And as he later told Baran: "Well, you may have got there first, but I got the name." Davies' team presented its paper at a 1967 conference in Tennessee, USA, where Lawrence Roberts of the Advanced Research Projects Agency (ARPA) of the U.S. Department of Defense presented a design for creating a computer network. In the United States, this led to the development of ARPANET, the prototype of Internet. Davies' later work concentrated on the security of data. He undertook security studies for teleprocessing systems, financial institutions, government agencies and suppliers. Davies received the British Computer Society Award in 1974. He was appointed a Distinguished Fellow of the British Computer Society in 1975, a CBE in 1983 and a Fellow of the Royal Society in 1987. His books included "Communication Networks for Computers" in 1973, "Computer Networks and their Protocols" in 1979, and "Security for Computer Networks" in 1984. Donald Davies died on May 28th, 2000.